“There’re new things every day to learn,” Aniis tells me. “If you repeat it, then you become better at it. That’s what I like.” Tayla agrees with him: “With karate, you’re always doing different stuff,” she says. Tayla used to go to ballet but stopped in favour of karate as “it was just a bit boring.” She’s now the current British champion, so it’s fair to say that she hasn’t looked back since. Visit www.uechiryulondon.co.uk to learn more about the club. 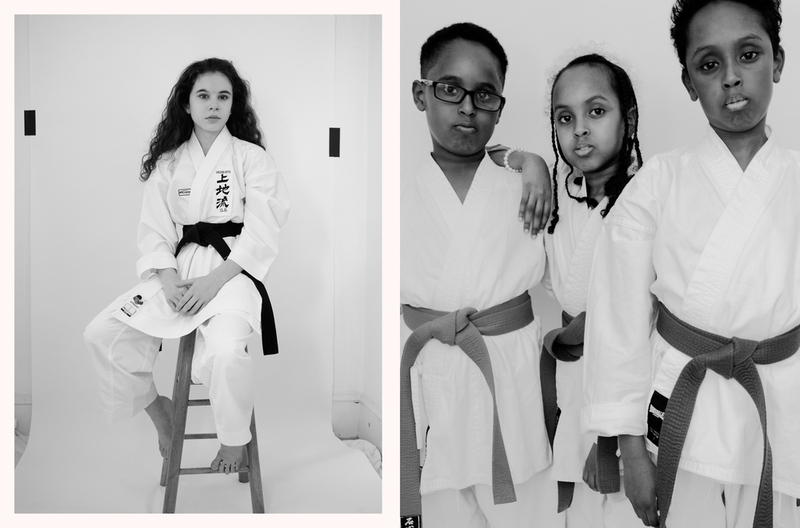 Terry Daly travels to Bethnal Green multiple days a week to teach karate at the East London Uechi-Ryu Karate Club. “The most valuable thing I teach them is how to focus,” he tells me. “If I can get them to concentrate, it helps them in school as well. In fact, if I can get my kids to knuckle down and focus, it’s a lesson that helps them for the rest of their lives.” Even to an outsider, it’s easy to understand the harmony found in the act of practicing a move until it becomes not only familiar, but second nature. I ask him what the most rewarding part of teaching the class is. “Watching them get better,” he replies without hesitation. “It’s so subtle. I can’t explain it.” Aniis and Tayla attend the club regularly, sometimes every day. Aniis is 11 and has earned a green belt, Tayla - age 12 - a black belt. It doesn’t take a long time with them to see how much dedication and respect they both have for their art: they clearly see the benefits of their practice and it makes them strive for more.